Former President, Nobel Laureate, and founder of the Carter Center, Jimmy Carter, was conspicuously absent from the podium at the National Democratic Conventions in 2008 and 2012 in which Barak Obama was nominated by the Democratic Party for the US Presidency. Reasonable speculation for Carter’s absence is that Obama felt Carter’s presence might be harmful to Obama’s election, or re-election in the 2012, probably because of his very public views on the Israeli-Palestinian issue which is not popular with much of the most influential membership of the Democratic Party, nor of their most important contributors. Whether the snubbing of Carter was a matter of pure political calculation, or whether Obama is genuinely hostile to Carter’s views is probably an open question. What Obama’s views really are and what his perception of the Israeli-Palestinian conflict is and his understanding of the history of the conflict we shall examine. Year after year, century after century, Jews carried on their traditions, and their dream of a homeland, in the face of impossible odds. The story made a powerful impression on me. I had grown up without a sense of roots. My father was black; he was from Kenya, and he left us when I was 2. My mother was white; she was from Kansas, and I’d moved with her to Indonesia and then back to Hawaii. In many ways, I didn’t know where I came from. So I was drawn to the belief that you could sustain a spiritual, emotional and cultural identity. And I deeply understood the Zionist idea — that there is always a homeland at the center of our story. I also learned about the horror of the Holocaust, and the terrible urgency it brought to the journey home to Israel (Italics mine). He then describes his great-uncle who had been a part of the 89th Infantry Division — the first Americans to reach a Nazi concentration camp. They liberated Ohrdruf, part of Buchenwald, on an April day in 1945. It was just a few years after the liberation of the camps that David Ben-Gurion declared the founding of the Jewish State of Israel. We know that the establishment of Israel was just and necessary, rooted in centuries of struggle and decades of patient work. But 60 years later, we know that we cannot relent, we cannot yield, and as president I will never compromise when it comes to Israel’s security. Hamas now controls Gaza. Hezbollah has tightened its grip on southern Lebanon, and is flexing its muscles in Beirut. Because of the war in Iraq, Iran — which always posed a greater threat to Israel than Iraq — is emboldened and poses the greatest strategic challenge to the United States and Israel in the Middle East in a generation. Iraq is unstable, and al-Qaida has stepped up its recruitment. Israel’s quest for peace with its neighbors has stalled, despite the heavy burdens borne by the Israeli people. … Those who threaten Israel threaten us. Israel has always faced these threats on the front lines. And I will bring to the White House an unshakeable commitment to Israel’s security. That starts with ensuring Israel’s qualitative military advantage. I will ensure that Israel can defend itself from any threat — from Gaza to Tehran. Defense cooperation between the United States and Israel is a model of success, and must be deepened. As president, I will implement a Memorandum of Understanding that provides $30 billion in assistance to Israel over the next decade — investments to Israel’s security that will not be tied to any other nation. First, we must approve the foreign aid request for 2009. Going forward, we can enhance our cooperation on missile defense. We should export military equipment to our ally Israel under the same guidelines as NATO. And I will always stand up for Israel’s right to defend itself in the United Nations and around the world. We must isolate Hamas unless and until they renounce terrorism, recognize Israel’s right to exist, and abide by past agreements. There is no room at the negotiating table for terrorist organizations. That is why I opposed holding elections in 2006 with Hamas on the ballot. In this impassioned speech, Obama manages to hit all the talking points of Israel’s state propaganda, and could just as well have been written by Prime Minister Netanyahu’s speech writer. It includes: 1) the centuries long yearning of Jews to ‘return’ to a homelands, which, though a widespread belief and a persistent theme of Zionist ideology and propaganda, is nonetheless a complete myth, as will be discussed. 2) the horror of the Holocaust, which, though not at all a myth, is invoked constantly by the state of Israel to justify its existence. In fact, this repetitive invocation of a threat of another Holocaust even began in 1948 in the midst of the ongoing ethnic cleansing of the Palestinian people by the Jewish army, even though it was the Palestinians who were facing a Holocaust, not the Jews, 3) the insidious threat of the ‘terrorist group ‘ Hamas, which ‘seeks Israel’s destruction’, along with Al Qaeda, Iran, and Hezbollah, the latter ‘is tightening its grip on Lebanon”. And 4), the rockets fired from the Gaza Strip ‘raining down on Siderot’ with the danger to Israeli school children transiting to and from school. 5) government funded textbooks across the Middle East which teach ‘hatred toward Jews. Of course, Obama announces that he will appropriate $30 billion in grants to Israel over the next ten years. There is the suggestion in the speech that the reason he voted against the Iraq war, as a senator during the Bush administration, was because regime change in Baghdad would strengthen Iran. “Iran — which always posed a greater threat to Israel than Iraq — is emboldened and poses the greatest strategic challenge to the United States and Israel in the Middle East in a generation.” In other words, Obama opposed the Iraq war for the sake of Israel. He refers to flying over Israel, as had George Bush before, and observing that ‘narrow strip of land’, with the implication that the strip of land is too narrow. The requirement that any agreement with the Palestinians must recognize Israel as a Jewish state’ was enunciated 6 years prior to the injection of this requirement into the ‘peace talks’ by Mr Netanyahu. Possibly, Obama and Netanyahu mean two different things by, “a Jewish state’. However that may be, one wonders if Mr Netanyahu did not review Obama’s speech before introducing this new requirement for a settlement with the Palestinians in order to assess American receptivity before adding a requirement which most observers believe would be impossible for the Palestinians to accept, though apparently embraced by the American president. Council Resolution 242, the basis of the American position since the ’67 War, at least up until the Obama administration whose support for this principle is either weak or non-existent. It also runs in contradiction to UN General Assembly Resolution 184 upon which Israel claims international legitimacy. That resolution set aside Jerusalem as a UN administrated area neither a part of the Jewish or Arab states. There is not much that the President-elect left out, if his purpose was to appease the Zionists and capture the Jewish vote in the upcoming general election. Any Palestinian listening to this speech must have been horrified; Obama had taken the most extreme hardline Israeli positions. Whether these words actually reflect his personal understanding of the Israel-Palestinian conflict and it’s just solution or whether he is acting politically with the primary goal of winning the election and capturing the Jewish vote is probably a distinction without a difference, especially considering that, having now won two elections, he has never contradicted this message over the past seven years, and in fact, he has repeated it,. Though the speech is from 2008, Obama has recycled the same themes repeatedly since, in particular in his 2011 speech to the United Nations General Assembly and in his March 2012 speech before AIPAC with almost word for word replication. “Exiled from the Land of Israel the Jewish people remained faithful to it in all the countries of their dispersion, never ceasing to pray and hope for their return and the restoration of their national freedom. In fact, this is sheer mythology, one of Mr Ben Gurion’s many fabrications which he wrote into the Israeli Declaration of Independence, long a part of the Zionist mythos, and swallowed uncritically by a wide range of people including the American president. Though Jerusalem, or at least central Palestine was the metropole of the development of monotheism and Judaism, the focus of Biblical narrative, and the phrase, “next year in Jerusalem” made its way into one of the Seder prayers, apparently dating from the middle ages, in fact no practical effort was ever made by any of the world’s Jews, up until the end of the nineteenth century, to settle in Palestine; and one searches in vain for any proposal of the creation of a state up to this period. Nor was a longing for Palestine or Jerusalem a widespread culturally induced icon within the Jewish community as the lack of any significant movement toward reclaiming the Holy Land or migrations of Jews to the Holy Land, or even any significant amount of Jewish pilgrimages to the Holy Land, before about the 1880’s, by Jews attest. The concept of a Jewish migration from Europe and elsewhere to the Holy Lands and the establishment of a Jewish state is a Christian, and not a Jewish, invention and was first embraced by the Jewish communities of the Russian Pale, and then only a small proportion of them, from about the 1880’s onward owing to a wave of anti-Jewish violence. During this period about 1.5 million Jews of western Russia migrated to the United States and only a few thousand to Palestine. Overwhelmingly, the preference of eastern European Jews during this period of emigration was the United States, not Palestine. It was Christianity, not Judaism that introduced the ideas of ‘wandering Jews’ displaced from their original homeland and seeking to “return”. It was Christian Zionism that introduced the term return to describe a Jewish migration into Palestine implying a continuity, if not an identification, between the ancient Judeans and modern Jews, and that Jews are the “lawful” owners of the land of Palestine. It is doubtful that anyone would invoke the term return to describe a contemporary conquest of Palestine by Egypt, or Persia or Macedonia for that matter, even though Egypt had ruled Palestine a millennium before there was a Jewish city state in Jerusalem, the latter occurring at the end of the first millennium BCE. And likewise both Persian and Macedonia, under Alexander and his sons, ruled Palestine before Jewish rule, the latter of which did not even encompass all of Palestine and was certainly did not bear a resemblance to a modern day nation state. It is not exactly known when monotheism developed, but it was most probably in the middle of the first millennium BCE concurrent with the writing of the Bible which occurred most likely between the seventh and the fifth centuries of the first millennium BCE. Jewish pilgrimages [to Jerusalem and the Holy Land] emerged as an afterthought to Christian pilgrimage. It never reached comparable dimensions and so perhaps cannot be considered an institutional practice. Few Jewish pilgrims set out to the Holy land between the twelfth century and the end of the eighteenth century CE, by comparison to the tens of thousands of Christian pilgrims who made the trip during the same period. … the degree to which the Land of Israel did not attract the “original children of Israel” is nonetheless astounding. It was English Christians, and not eastern European Jews who began the campaign to promote Jewish immigration to the Holy Lands. The British Library contains the oldest document, written in English on Christian Zionism entitled Apocalypsis Apocalypseos (‘A Revelation of the Revelation), a 50 page monograph, written in 1585 by the Anglican priest, Thomas Brightman, often described as the ‘father of the Restoration of the Jews’. However the campaign began, in earnest, with the ascendancy of the Puritans in England in the early seventeenth century who engendered a refocus and a reemphasis on the Old Testament and on the children of Israel with whom the Puritans identified. Impelling the promotion of a Jewish migration into Palestine was a program, not essentially for the sake of Jews, but as it was read from the Scripture, or rather read into the Scripture, that such an re-assemblage of Jews in the Land of the Children of Israel and then their conversion to Christianity was necessary for the return of Christ and a millennium of peace. Such ideas persist among Christian Zionist in our time. The Puritans believed that since their own doctrines were closer to Judaism, and that the Jews, once in close contact with them, would find conversion to Christianity relatively smooth.63. The idea of a Jewish migration into and assemblage in Palestine was very much in the air by the beginning of the nineteenth century. Observe that Napoleon is here attempting to initiate a program or a movement among Jews which , in his understanding, did not exists at that time. Napoleon is not trying to tap into a recognizable “2000 year old yearning of Jews to return to Zion” but is trying to create one from scratch. Lord Shaftesbury – Anthony Ashley-Cooper, Seventh Earl of Shaftesbury, nobleman, philanthropist with the ear of Prime Ministers, Lords, and others who held power in mid nineteenth century, in particular, that of Henry John Temple, Lord Palmerston, foreign secretary and prime minister from 1855 to 1865, was a deeply religious man who based his life on the Bible, “God’s written word”. “I accept it, believe it, bless it, as announced in the Holy Writ.” Ashley became president of the Palestinian Exploration Fund whose mission was to explore every inch of Palestine and to “prepare it for the return of its ancient possessors …” Ashley presided for 40 years over the London Society for the Promotion of Jewish Conversion to Christianity whose signal achievement was the establishment by the Church of England of an Anglican bishopric in Jerusalem with a converted Jew as its first bishop. Shaftesbury invented the phrase, “A country without a nation for a nation without a country’ which later transmogrified into the Zionist slogan, “A land without a people for a people without a land’. By the late nineteenth century most all of England was primed for the promotion of Jews to be assembled, “reassemble” as they put it, in Palestine. The literature- novels and poetry from Milton to Sir Walter Scott, Lord Byron to George Eliot and to Benjamin Disraeli, politician/novelist, promoted the assemblage of Jews in Palestine. The newspapers, the Manchester Guardian, in particular, the political actors of the day, with few dissenters, were all aligned driven by religious fervor combined with a vision of imperial by proxy. Of what was Balfour speaking? Jewish history, or the five centuries of English philo-semitism from the 50 page Christian Zionist monograph of Thomas Brightman to the declaration that bears Balfour’s name. That is, is he speaking of Jewish history or of the English interpretation of that history and contribution of British conceptualization of that history, however Balfour may have understood his own words? Was he not referring, not to Jewish endeavors, but to the long and deep tradition within British society and culture of Christian Zionism? Mr Ben Gurion’s insertion into the Israeli Declaration of Independence of the claim of 2000 year of Jewish yearning and struggle to return to Palestine is a fraud and an effort to claim provenance of the creation of Zionism which was, in fact, a product of Christians, or of Christian society. It was Christian culture that developed and nurtured the concept of the return of Jews and the continuity of the ancient Judeans with modern Jews overlooking the possibility that modern Jews might well not be the descendants of the ancient Judeans, as it ever more looks like they are not. 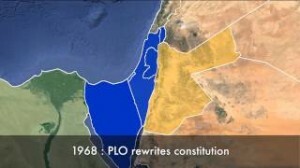 This created trait of continuity, and identification, of ancient Judeans with modern Jews has allowed Mr Netanyahu, as well as the Revisionist/Lukud strain of Zionism, to claim a right of proprietorship over Palestine which, in his view, and theirs, overrides the constraints of international law, in particular, international law’s injunction against ethnic cleansing. Ever how much Mr Netanyahu and his Lukud party, and most Israelis for that matter, would be displeased to hear it, Jewish Zionism is an outgrowth of Christian Zionism which developed , incubated, and nurtured it and is not an auto-genetic, self-contained, or autochthonous product of Jewish energy. President Obama’s pre-presidential background in foreign policy was modest consisting of his having taken some classes on foreign policy at Columbia University as an undergraduate and, as a member of the United States Senate, having served on the Senate Foreign Relations Committee. Notwithstanding his tenure on the foreign Relations Committee, and maybe with the exception of his vote against authorization for the Iraq invasion, he seems never to have attempted to influence American foreign policy in any significant way. He certainly lacked the foreign policy experience of some whom he appointed to cabinet, or deputy cabinet posts such as John Kerry, or Richard Holbrook and some others. One searches in vain for any detailed and highly competent writings or speeches on foreign policy, given by Obama, that go beyond idealistic platitudes, ever how souring the rhetoric. Looking to the beginning of his presidency, his only foreign policy projections were to correct the overextended foreign policy and adventurism of his predecessor and affect a retraction of foreign involvement ending the wars in Afghanistan and Iraq and retrenching American energy toward a domestic agenda. Obama’s orientation is toward domestic policy as an academic program of constitutional law would dispose. Between Columbia and Harvard Law School, Obama worked, not in any capacity having to do with foreign policy but as a community organizer in Chicago’s south side. The contrast with President Carter is instructive. Coming into office, Carter clearly identified several areas of foreign policy in which he was determined to act. Those were: 1) To establish a working relation with the Soviet government on the issue of nuclear arms reductions. 2) To complete to diplomacy initiated Richard Nixon and establish full diplomatic relations with the People’s Republic of China. 3) To resolve the growing potential conflict with Panama over the Panama Canal and to complete a treaty that previous presidents had left dangling. 4) To resolve the Israeli-Palestinian conflict. 4) To reduce American’s dependence on the importation of foreign oil and to end the possibility of a disruption of oil supplies as, for instance, caused by the Arab oil embargo of 1973. 5) To move southern Africa toward constructive change and away from apartheid. Carter was largely successful in in carrying out these initiatives. By contrast with Carter, there were no positive foreign policy initiatives envisioned by the new incoming president other than the intention of ending the involvement in Afghanistan and Iraq. The so-called “pivot toward Asia”, which was also a pivot away from involvement in the Middle East only reflects the reaction against the Bush policies and is an effort at correction. It is a reaction against rather than a genuinely positive refocus. There is, however, a fairly consistent foreign policy strategy, consistent with Obama’s disposition toward limited foreign involvement which is discernable if one ignores the idealistic words and speeches. In the historic tension between idealism and Realpolitic, Obama comes down on the side of Realpolitic. Thus, foreign involvement is only justified if American’s vital interests are threatened. Thought of this way, the Palestinians are as peripheral to core American interests are the Bahrainian protestors in Pearl Square. Though Obama has exhibited sympathies toward the peaceful protests as they began in Syria and later for the rebel fighters resisting the crush or the Syrian army, Obama rejected Secretary of State Clinton’s proposal to arm the Syrian rebels, and even now, American aid to the moderate Syrian rebels, such as can be found, is quite modest. What is not modest, however, is the effort to defeat ISIS while the Assad regime in Damascus is largely ignored. Overthrowing or destabilizing the Assad regime would not make any more sense to Obama than the invasion of Iraq under President Bush. In terms of Realpolitic, there is little contribution that the Palestinian or their liberation can do for US strategic interests, whereas there is considerable cooperation between the US and Israel on security matters. One might argue, as many have, that the continuing Israeli-Palestinian conflict along with Israel’s continued occupation and land confiscation is harmful to American’s image in the Arab world and is possibly behind much of the unrest and overall hostility, harbored by some, toward the US. But this involves long term interest, and further, a clear straight line cannot be drawn between a solution to the Israeli-Palestinian problem and a diminution of tensions and conflicts in the Middle East. Arguably, the combined efforts of the US and Israel to develop the Stuxnet virus, or malware, which did considerable damage to the Iranian centrifuges at their Natanz nuclear facility, and the recently revealed combined US-Mossad intelligence cooperation which resulted in the assassination of Imad Mughniyah, Hezbollah’s international operations chief, along with the combined British, Israeli, and US espionage on Iranian government leaders recently revealed by Edward Snowden , indicate the close security cooperation between the US and Israel on matters of security and the fight against terrorists threats (10). It also reflects a shared interest in matters of security, an interest not shared between the US and the Palestinians. Despite Obama’s pledge in in 2009 Cairo to do everything in his power to achieve a Palestinian state living peacefully beside a secure Israel, Obama is not going to discard, or risk the loss of, the potential intelligence asset of Israel’s technical capability or experience in the Middle East in order to achieve freedom for the Palestinian people. Nor has he shown the slightest interest in risking political capital in a public fight with Israel over basic issues. As of the writing of this article, there is a test of wills occurring between the White House and the Israeli government led by Nr Netanyahu’s implacable hostility to any compromise in negotiations on Iranian nuclear program. This is a battle Mr Obama did not choose. Rather it represented a challenge by the Israeli government to Obama’s determination to avoid further military involvement in the Middle East and, in particular, a war with Iran, as Mr Netanyahu has been trying to promote, or to avoid the US to be drawn into a war with Iran initiated by Israel. Obama’s concentration of energy on the implementation of a policy based on Realpolitic allows Obama to avoid acquiring a very detailed knowledge of the history of Israel or of the Israeli-Palestinian conflict, or, for that matter, any other area of foreign policy. The several paragraphs quoted at the beginning of this paper reveal that, at best, Obama has a superficial knowledge of the Israel-Palestinian conflict and its history and also reveals his embrace of the 60 year old Israeli propaganda largely discredited since the writing of the historians, mostly Israelis, since the 1990’s. I refer primarily to the writing of historians Ilan Pappe and Benny Morris, Avi Shlaim and others. Obama could do no better at the beginning of this past summer’s Israel was against Gaza than repeat the Bush mantra we heard so often – “Israel has a right to defend itself.” As in the case of his predecessor, there is no consideration of the right of the Palestinian people to defend themselves. Nor was there a consideration of who was defending against whom. This often repeated platitude reflect a considerable shallowness and an indication that Obama has given very little thought to what is the actual nature of the Israeli-Palestinian conflict. Israel can offer the US cooperation at the security level with Israeli intelligence which is highly capable and has extensive experience in the Middle East. The Palestinians have little to offer Obama. Do not expect any significant progress engendered by the Obama administration for the rest of his term. If there is to be any change in the configuration between the Palestinians and the Israelis, it will emanated from the International Court of Justice. The post Obama and the Palestinian-Israeli Conflict appeared first on Palestine Chronicle.